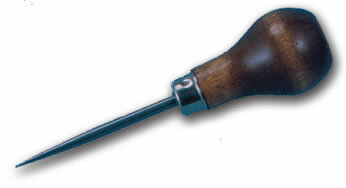 A useful and inexpensive awl for piercing leather, canvas and similar materials. Also for marking metals. 2 round tempered awl blade.